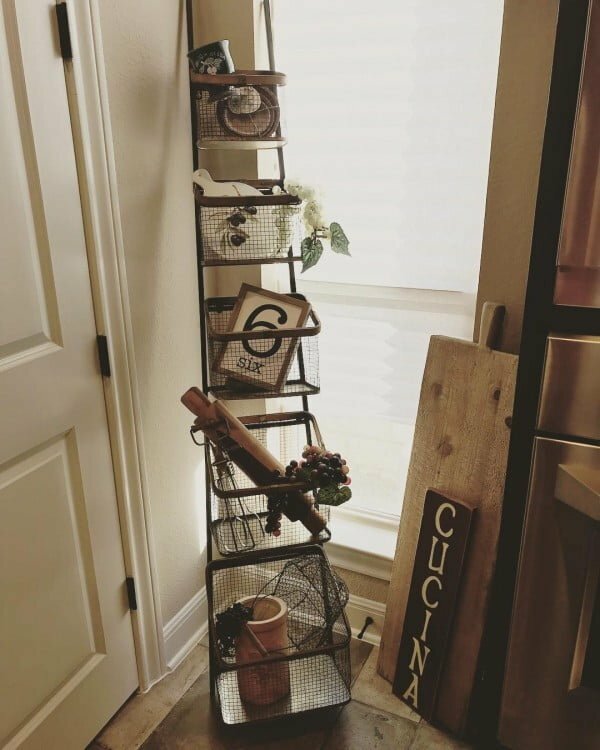 Want to add some cozy rustic Italian decor accents to your home decor? Here are 20 fantastic and easy ideas for your inspiration. Italians are known for their impressive style. This extends from the runways in the crowded cities to the small cottages in the countryside. 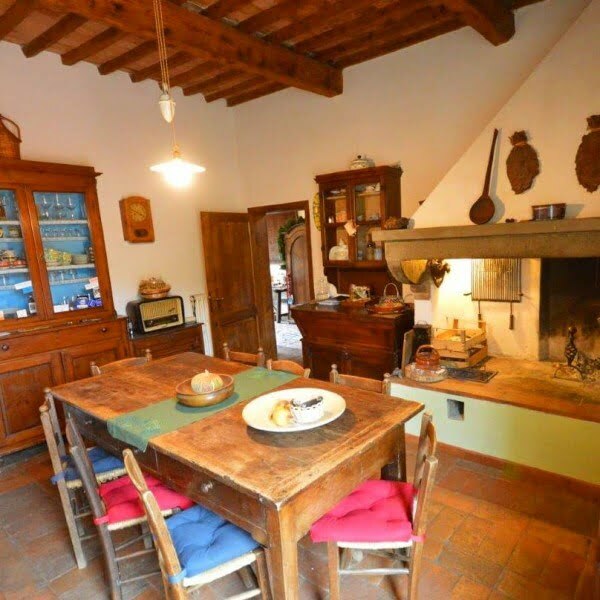 The rustic Italian aesthetic is something that a lot of homeowners aspire to mimic in their own DIY projects. It doesn’t have to be hard as you might think as a few simple pieces can recreate the look for less. 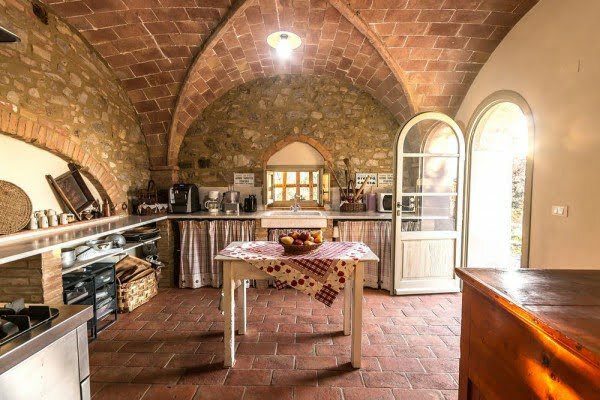 The following as 20 rustic Italian decor ideas that you can feast your eyes on while reimagining your own rooms. Get inspired by the simple yet sophisticated arrangements that look both warm and natural. You should be able to find everything from basic designs to luxurious plans. Bare walls come to life with the use of tasteful décor. 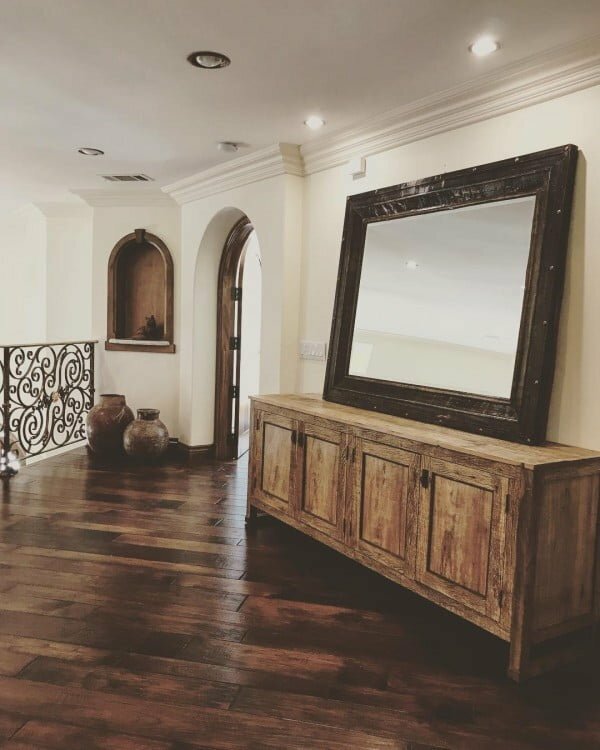 In this project, a large and heavy mirror with a dark wooden frame leans back to dominate the room. 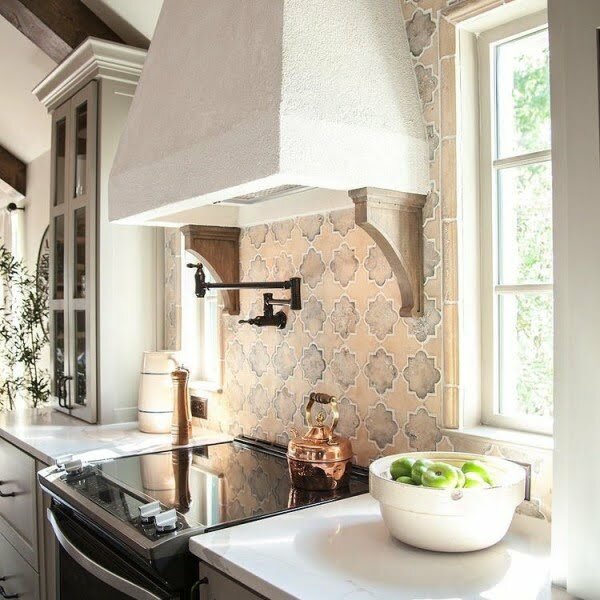 Patterned tiles were used to protect the wall from oil stains and dirt coming from the stove. The combination of peach and faded gray gives it a rustic vibe. 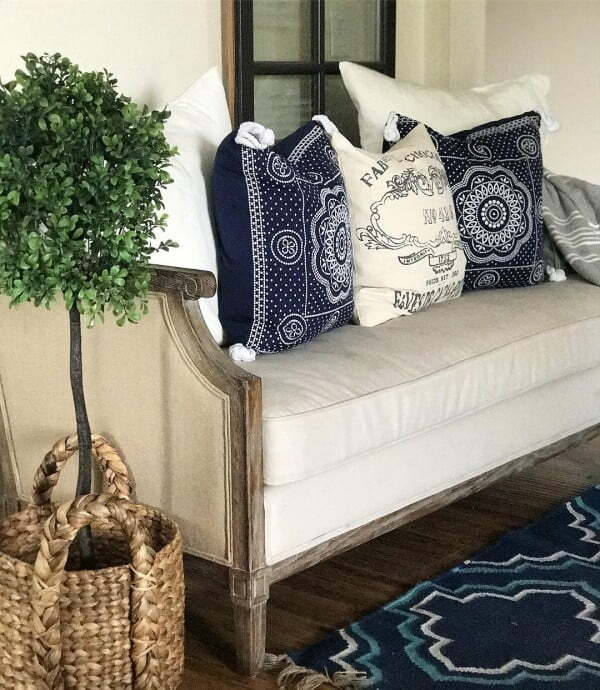 A beautiful settee with faded wooden frame serves as the anchor in this eclectic mix. It’s surrounded by designer pillows, a tassel rug, a plant in a handbasket, and a standing window. It’s the accessories that elevate this wet bar makeover from the still life painting, the intricate wall hangs, the roman-inspired jug, the potted plants, and the golden bird sculpture. An empty corner by the window gets some love with the installment of a thin ladder shelf with a metal mesh basket at every layer. A large cutting board has a sign that marks the room. 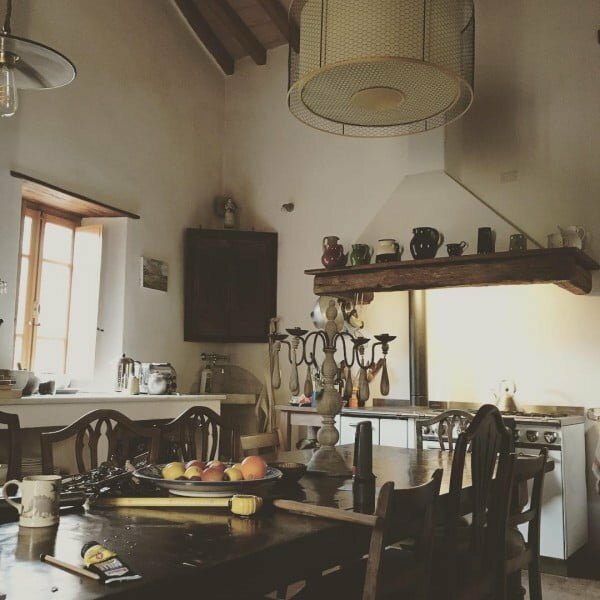 A rental cottage in Chianti shows how to mix country life simplicity with Italian sophistication. 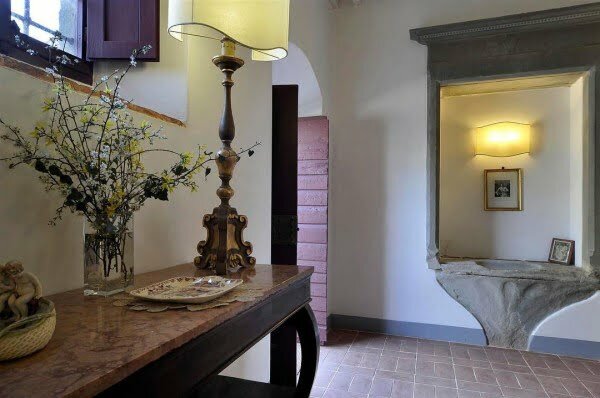 Note the clay tiles and the recessed light in the background, as well as the marble table and décor in the foreground. 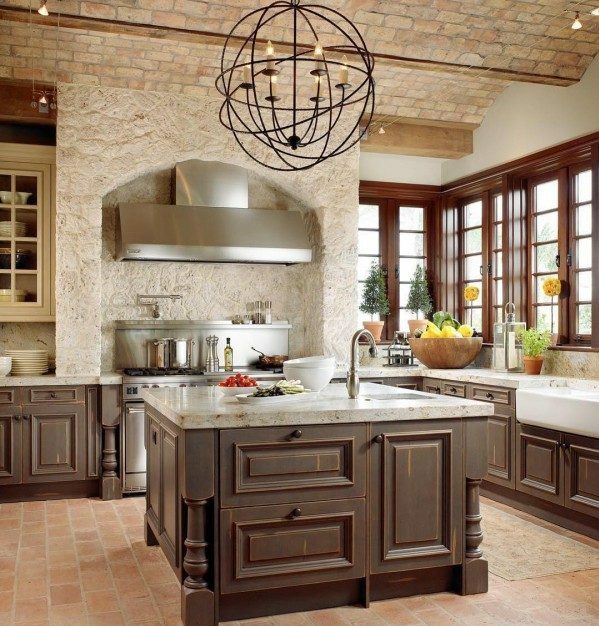 High walls and large windows ensure good air flow when it gets hot in this Tuscan kitchen. They kept it simple with a wooden table and plain shelf. The lights above add visual interest. An unlikely design combination works in this ultra-modern kitchen. 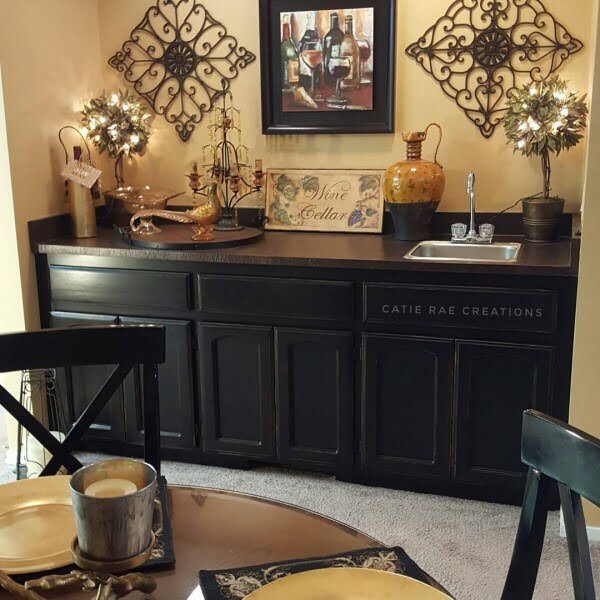 Wooden cabinets with marble countertops serve as the base. Light floods through tall glass windows. The owners kept it clean and classy with subdued Earth tones and neutral colors. 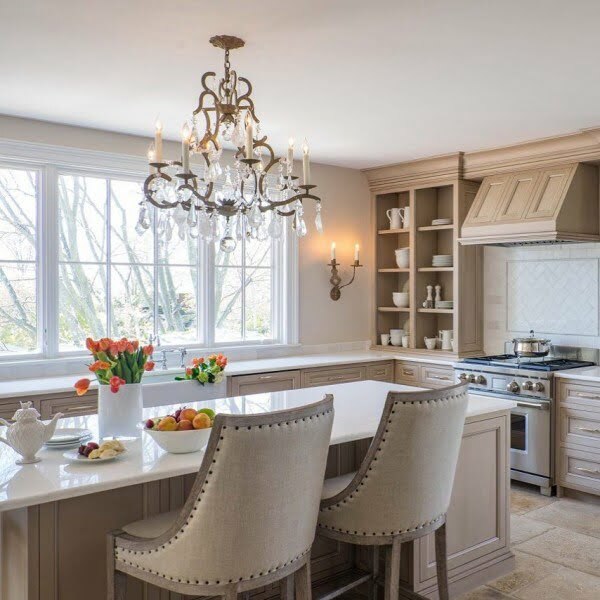 An ornate chandelier hangs proudly in the middle to light the kitchen table. 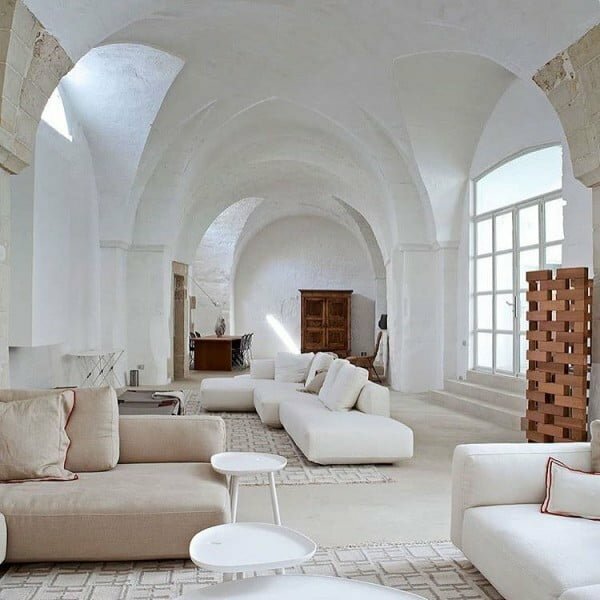 It’s a throwback to classic architecture with a vaulted ceiling, stone walls, and clay tiles. 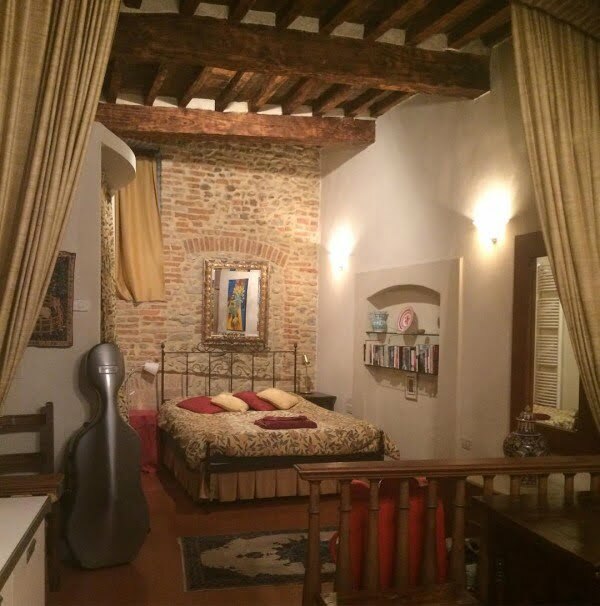 Although it is populated with modern conveniences, it still retains its old world charm. This cozy kitchen features a ceiling with exposed beams and traditional oven. The wooden shelves have glass panels to make the bowls, plates, and glasses visible from the outside. 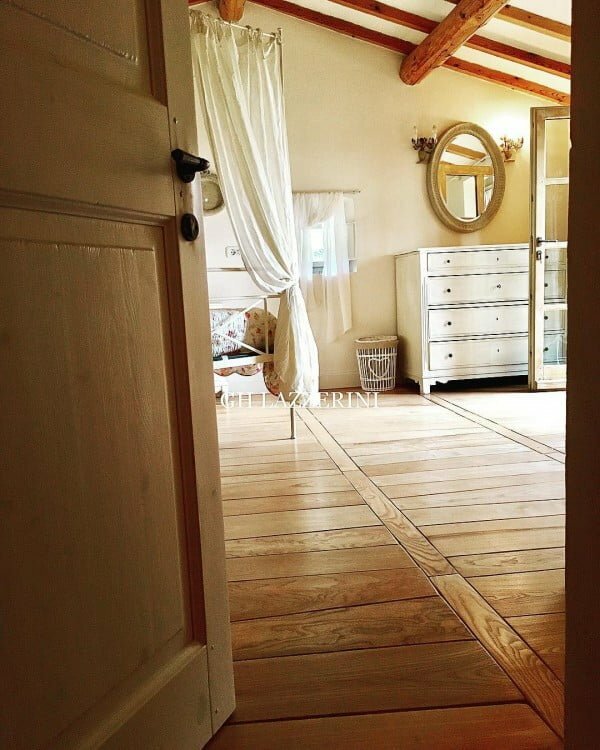 A spacious attic has been converted into a bedroom with exposed beams and a door to the balcony. The sparse furnishings include a metal bed frame, a white wooden dresser, and an oval mirror. This bedroom is fit for a princess with its stone feature wall, wooden beams, large bed, recessed shelf, red carpet, massive mirror, wall lights, and privacy curtains. 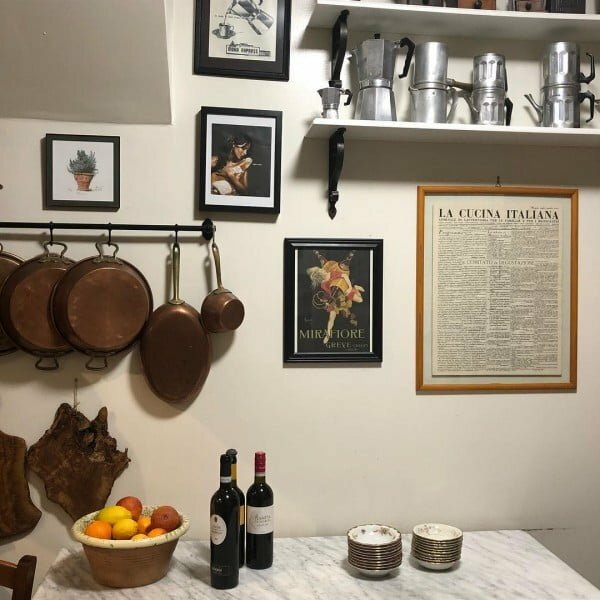 This modest kitchen is quintessentially Italian with framed cultural memorabilia, copper pots and pans, traditional coffee makers, and bottles of vino for good measure. 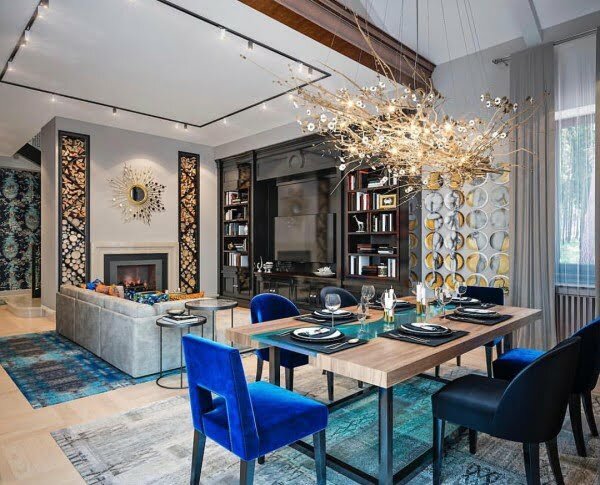 The rustic Italian aesthetic has been reimagined for a luxurious home in this project. The thick wooden table features a glass panel in the middle. It is lighted by a chandelier made of twigs suspended from the ceiling. The Italians are known for their love of bicycles. 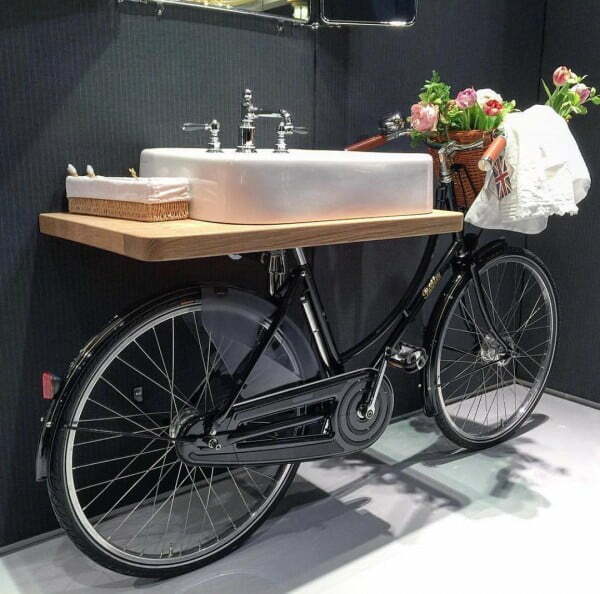 This design takes it a step further by turning a shiny black city cruiser into a stand for a rustic bathroom sink while the handlebars double as a towel holder. A large space was turned into a living room with two separate seating areas marked by patterned rugs — ideal for house parties. It features off-white walls, a bare concrete floor, wide glass double doors, and a vaulted ceiling. 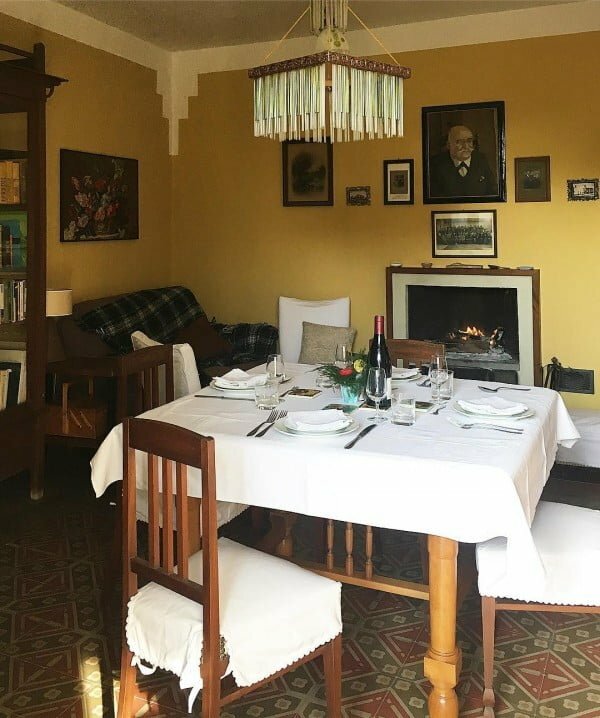 Even a small cottage can host a fancy dinner if you set it right. All you need are crisp white sheets, formal dinnerware, and a bottle of wine — preferably Italian. The vibrant colors on this table definitely set the mood for festivities. The checkered green and red combination pays homage to the Italian flag as well. 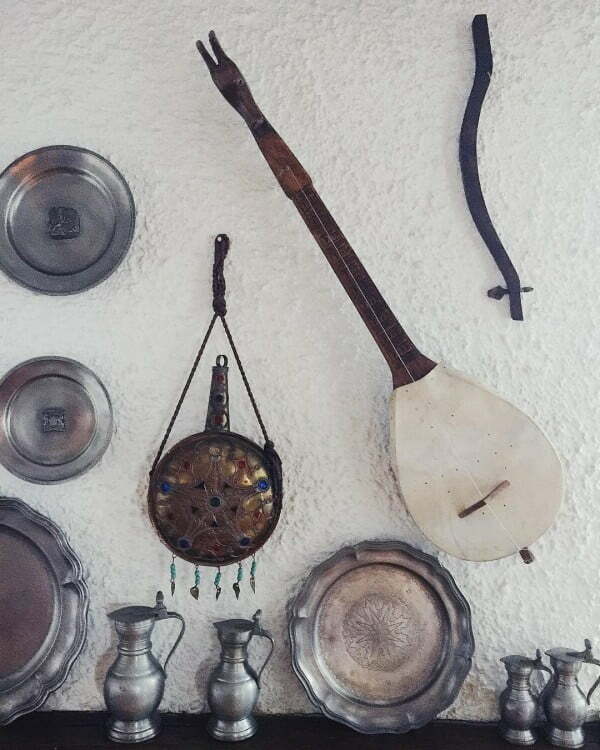 This white wall holds several interesting trinkets including a very old guitar, a dreamcatcher, antique plates, metal jugs, and other great finds. 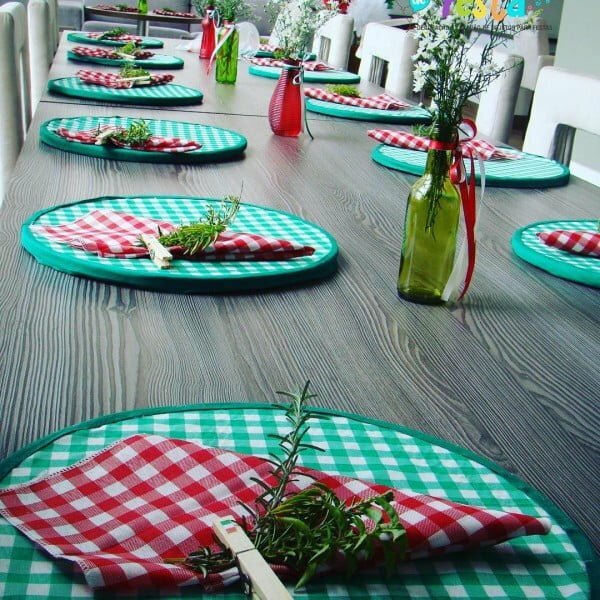 It creates great rustic charm with an Italian theme.